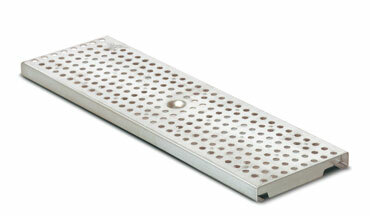 Perforated gratings represent an appealing design solution. Featuring relatively small inlet cross-sections, they are ideal primarily in transitional zones or in partially covered areas. Also available with LED lighting integrated into a Plexiglas layer (BIRCOlux Premium).